Cup shave/scorp has a diameter of 3.5"
Add this 7" Cup Shave to your woodworking arsenal! 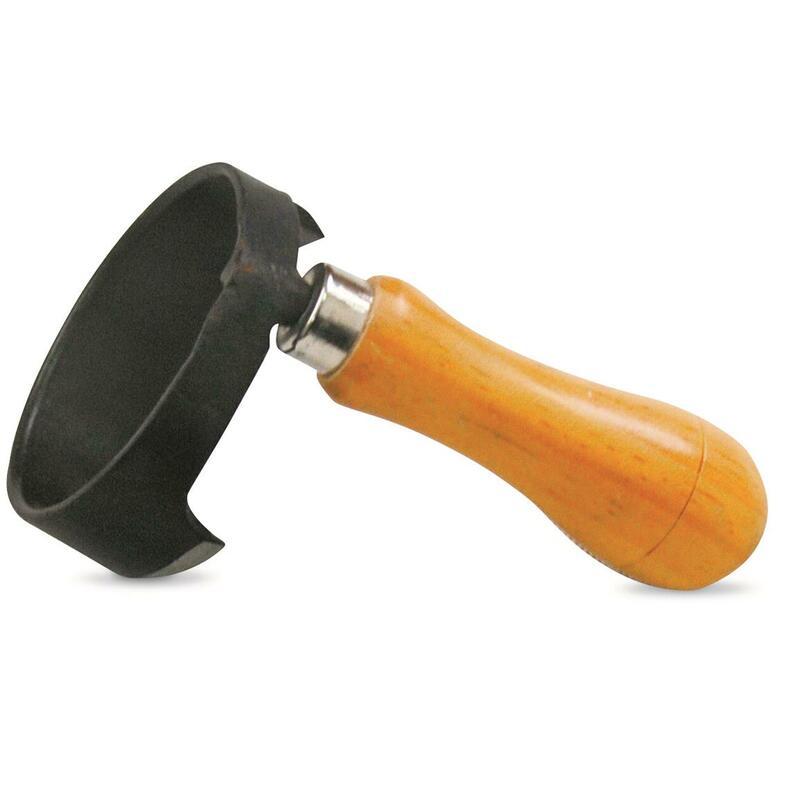 It's just the tool to make bowls, spoons or any other concave-shaped item. It's made of a hardened steel blade that's 1.25" wide with a 7" circular cutting area. Its light weight and 135º angle make it easy to use, getting the results you want. Complete your woodworking set with this handy tool. Measures: 3.75" x 3.5" x 5.625"h.
Easily tote logs with this chain!